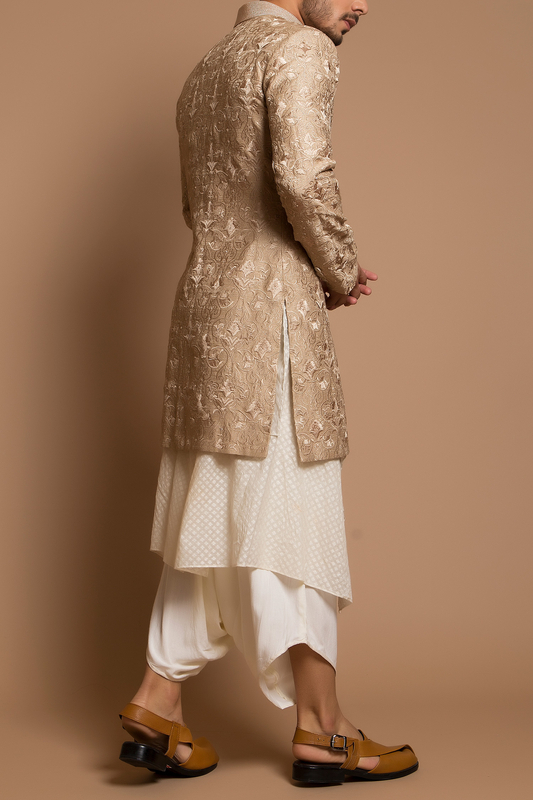 Champagne and ivory sherwani designed by Siddhartha Tytler at AASHNI+CO. 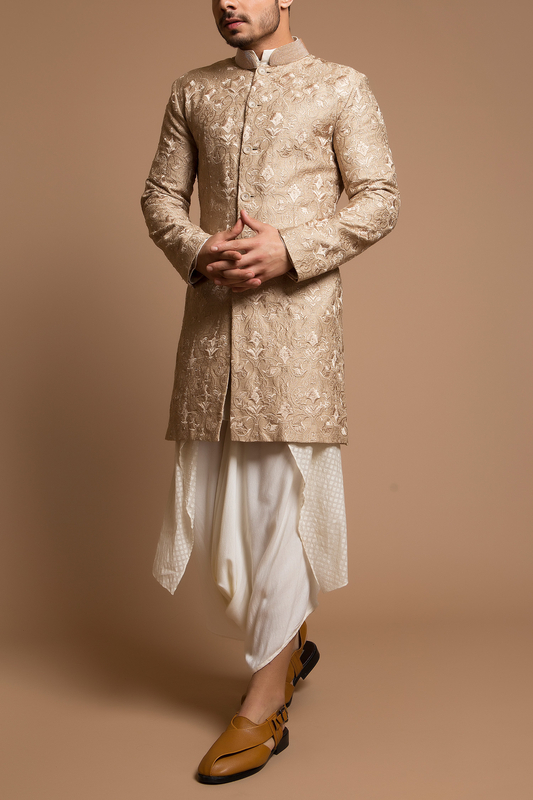 Siddhartha Tytler keeps it classic and regal to design this champagne sherwani with primped with pearl collar and teamed with asymmetric ivory kurta and dhoti pants. Complete the look with a gold ring and sleek pair of juttis.